This book is a solid study of characters in the Gospel of John--Nicodemus, the Samaritan woman, the disciples, the Jews, Martha and Mary, Peter and the Beloved Disciple, and Jesus. 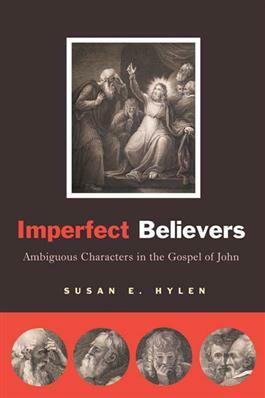 Susan Hylen argues that John's characters are not simply one-dimensional depictions of belief and unbelief, but are in fact far more complex and ambiguous. This ambiguity has an important literary function: it invites the reader to understand biblical characters within the context of the inherent logic of the Gospel. The Gospel establishes ideals like believing and abiding in Jesus. The reader is left to decide to what extent a character's actions and speech reflect these aims. Individual character portraits explore what readers may learn from studying John's complex characters. This is an excellent secondary source for seminary classes on the fourth Gospel.